Posters are the oldest advertising media at all. Since man can write, posters are used for ads. But, posters only work in one direction. There is nearly no interface for the people to react on your ads. Telephonenumbers or URLs can be communicated, but in fact you do not know, who is watching your ads or interacting with it. QReturn is that missing interface! QReturn uses the smartphone to build a connection beween the poster-ad and the audience. A dynamic QR-Code leads your customer on a smartphone optimized landingpage. Here they can order information, ask for a callback or make an appointment. Experience who is watching at your poster-ads. Get to know your target-group! 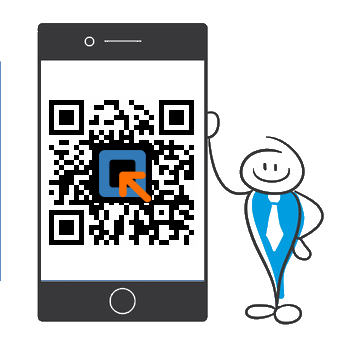 Generate a dynamic QR-Code for free. Change function or target whenever you want, as often you want. Register, generate code, get started! Statistics you´ll find later on in your login-area.